I think my style is pretty casual. I want to tell a story and sometimes there may be more serious moments or intricate details, but for the most part, I want readers to enjoy my work and come a long on an adventure with me. I try to keep that sense of humor and fun throughout my writing. In some of my other work [offline currently] I’ve dabbled in some other styles, tried to have more narrative, or sometimes a more melancholy feel. I’m still experimenting with other styles and playing around. For a long time, I just called this book “Book 1” in my head as I always knew I wanted to write a series. I’m not sure where the title Covencraft came from, but I started using it to mean the entire series of books and I had the file on my computer just titled as that - Covencraft Book 1. 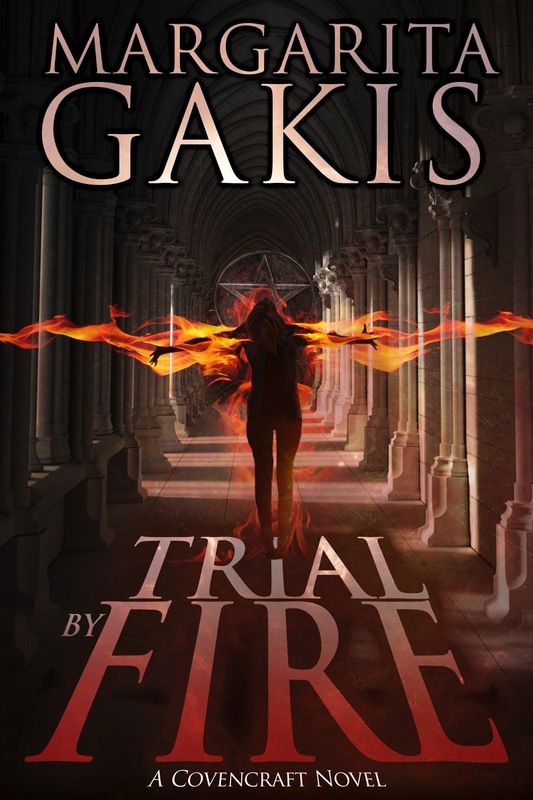 When I sent the book into Fable Press, I just called it by the series title. Matt and Mike [Fable Press partners] came back and asked if I wanted that for the series or the book. I said, “well, I kind of want it for the series but that leaves me without a title for a book and I hate titling!” I legitimately do! I find it so hard and for a lot of my short stories I end up using song lyrics. Matt came up with a bunch of ideas based on his reading of the book. It was cool to see what someone else thought of the book – he came up with a lot of great ideas! 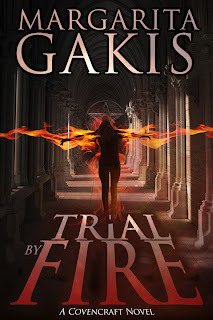 I really liked ‘Trial by Fire’ as my lead character, Jade, has an affinity for fire in her witchcraft and I also liked the statement it made about the overarching plot of the book, which is her joining and coven and having it not go so well! I thought it was a good fit. My Goodreads “To Read” shelf is getting out of control! I have 82 books on there! Half of which I either have in paperback or already loaded onto my kindle. I’m really looking forward to Doctor Sleep by Stephen King, which is a sequel to the Shining. I’ve already got it pre-purchased so I can get it as soon as it’s released. I also want to read Souless by Gail Carriger. I’ve also got some paranormal fiction on there that I’m looking forward to. I’m working on book 2 of Covencraft. I’ve tentatively titled it Counter-Hex. I’m still in the beginning of the book, setting all the pieces up that I need for the story. I’ve also got a short story that’s burning a hole in my brain. I’ve not actually started it but I’ve got my opening line and maybe a bit of the background. I’m thinking it will be a Greek Mythology story. I do love playing in that world. Sure! Here’s a snipped of Counter-Hex. It’s at the very beginning - Jade, the lead, has been sent down into the sewers to find out what’s blocking an area. Now, trudging through the city’s underground sewers in hip-high rubber wading pants, trying valiantly to keep the aroma-blocking spell for her nose working, and working really hard at not thinking about what she was slogging through, she realized should’ve asked for more money. “But it only makes some kids want to try it themselves,” surmised Jade, her lips curling in disgust as something unidentifiable floated by. Yuck. Staying consistent - sitting down and doing it every day or nearly every day. I find that the more I keep to a schedule, the better my work is and obviously, the more I can accomplish. But it’s hard to just keep at it some days. I have a lot of “favorites” and I’m always so hard pressed to pick just one. I think, though, for the authors that I really enjoy, it tends to be the characterizations that pull me in. If I care about the characters and their struggles, I’ll be more forgiving of plot holes or inconsistencies or maybe not even notice them. But when I don’t care about the characters, if there’s anything wrong with the book, I find it just keep poking at me. And when the characterization is great and so is the writing and the story…. Magic! Keep at it. Keep writing. If you’ve got a story to tell, then you need to tell it. Make yourself happy first and tell the story as you want to see it. Writing can be hard. I don’t know anyone that writes that says, “Oh, it’s so easy! I just sit there and the words just pour out of me!”, so when you’re sitting there thinking, “WHY IS THIS SO HARD?”, it’s hard for everyone, at least at some point. I’m sure there are writers who do find it easier than others, but most writers I know, struggle a lot. But they keep going. I don’t have one for the entire book, but I do have one for Jade, my heroine. The links go to some YouTube videos. I actually blogged about this previously, so I had this list handy! Well... perhaps “normal” was never in the cards for her. As she questions her own sanity and spirals out of control, a man appears on her doorstep and tells her that, like him, she’s a witch. Margarita loves the art, creativity and romanticism of storytelling. Sometimes, however, the act of putting pen to paper proves challenging, elusive. She develops genuine, relatable characters which grow in the hearts of her readers. From that foundation, the stories flourish into a warm friend. She enjoys pursuits which blur the lines between the analytical and creative sides of her brain. This includes her day job in electronic data management, where she uses her creativity to solve logical problems, and also her lessons learning to play the cello, where she finds beauty in the structure of music and the instrument. She believes there is a place for both logic and imagination to work together. When they do, the results are magical. Margarita has a special spot in her heart for dogs and lives with three of them. It can be a little overwhelming but the quality snuggle time makes up for it. Margarita lives in Calgary, Alberta with her family.